The Promise is a fascinating pictorial story that tells the most unusual, extraordinary journey of Tsem Rinpoche, a radiant Buddhist teacher who literally traversed continents and lifetimes to fulfil a lifelong commitment to the world. 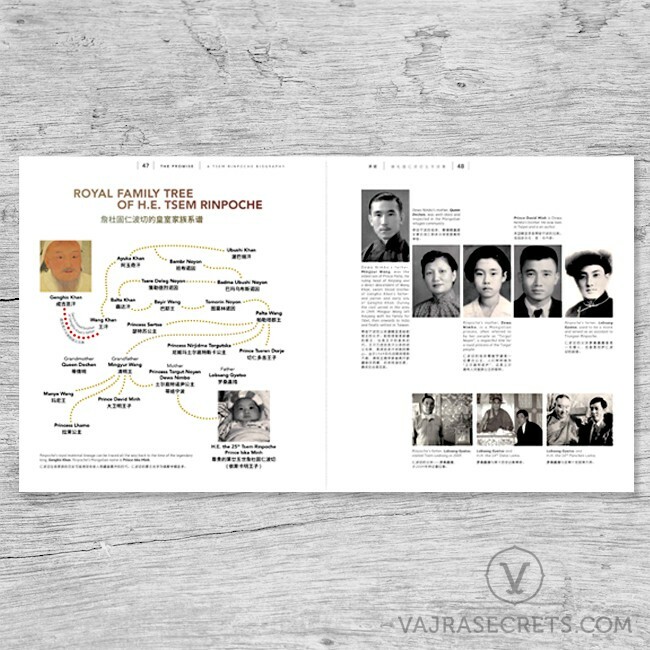 The 4th Edition of The Promise features all-new sections including selected biographies of Tsem Rinpoche’s previous incarnations, accounts of Rinpoche's Protector practice and lineage, never-before-published photographs and a foreword by His Holiness the 101st Gaden Tripa Jetsun Lungrik Namgyal. How a single promise brought a man around the world and into the hearts of thousands. 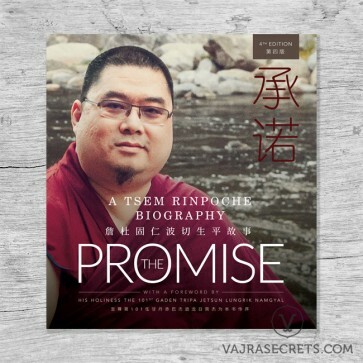 The Promise tells the most unusual, extraordinary journey of Tsem Rinpoche, a radiant Buddhist teacher who literally traversed continents and lifetimes to fulfil a lifelong commitment to the world. 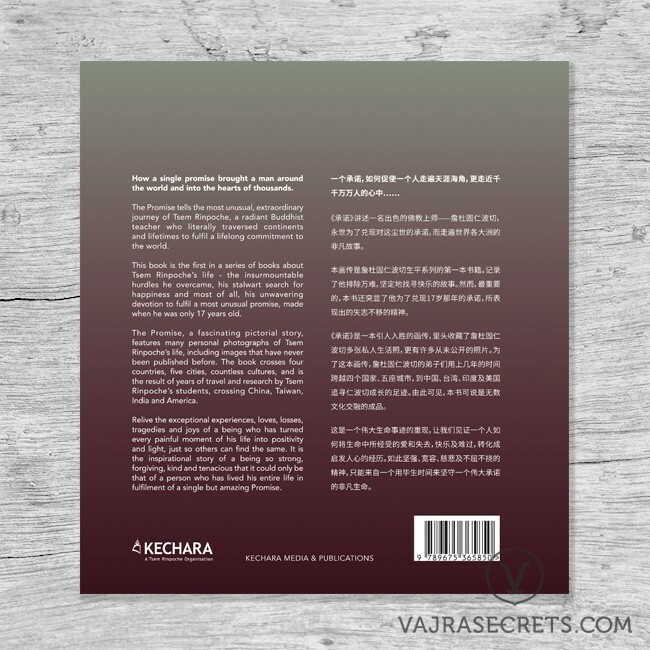 This book is the first in a series of books about Tsem Rinpoche’s life - the insurmountable hurdles he overcame, his stalwart search for happiness and most of all, his unwavering devotion to fulfil a most unusual promise, made when he was only 17 years old. The Promise, a fascinating pictorial story, features many personal photographs of Tsem Rinpoche’s life, including images that have never been published before. The book crosses four countries, five cities, countless cultures, and is the result of years of travel and research by Tsem Rinpoche’s students, crossing China, Taiwan, India and America. Relive the exceptional experiences, loves, losses, tragedies and joys of a being who has turned every painful moment of his life into positivity and light, just so others can find the same. It is the inspirational story of a being so strong, forgiving, kind and tenacious that it could only be that of a person who has lived his entire life in fulfilment of a single but amazing Promise.